Each year more and more vegan friendly products hit the shelves of the supermarket and each year choosing a favourite gets harder. 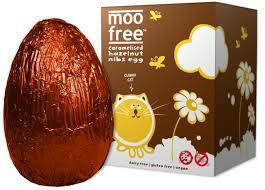 But after much consideration, here are my Top 5 picks for dairy free Easter eggs. YES, I have TWO top choices. 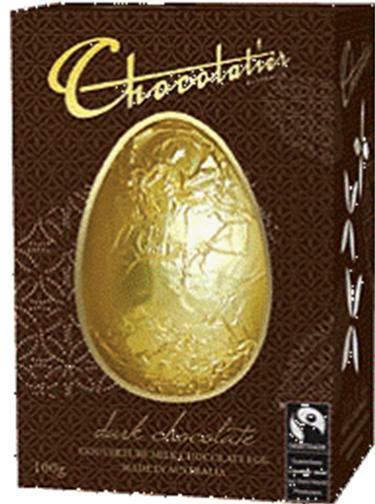 I absolutely love this Dark Chocolate Egg by Chocolatier because it’s Fair Trade. It’s also absolutely delicious. For those who like dark chocolate it’s got a satin like texture and tastes beautiful. Chocolatier is also an Australian company. I tend to find it in Woolworths. 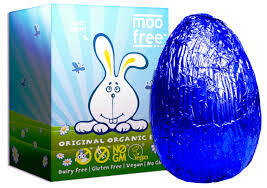 Moo Free make the most delicious chocolate. 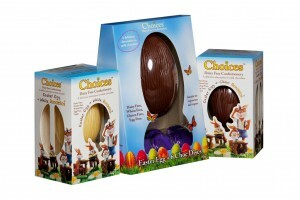 My top pick for Easter is their “Cheeky Orange Egg” which is “milk” chocolate and orange. Their “Bunnycomb” (“milk” chocolate and honeycomb) is also gorgeous. But keep your eye out, because in the range is also an Organic “Milk” Chocolate Egg and a Caramelised Hazelnut Egg. 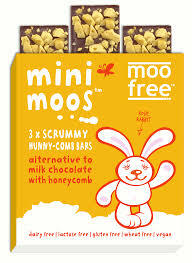 Their “Mini Moo”s range are also brilliant for Easter egg hunts and come in a range of flavours. 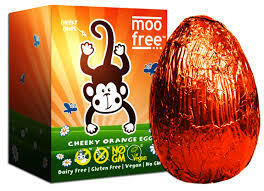 The Moo Free range is dairy free, gluten free, GMO free and vegan. I always find these in health food stores. 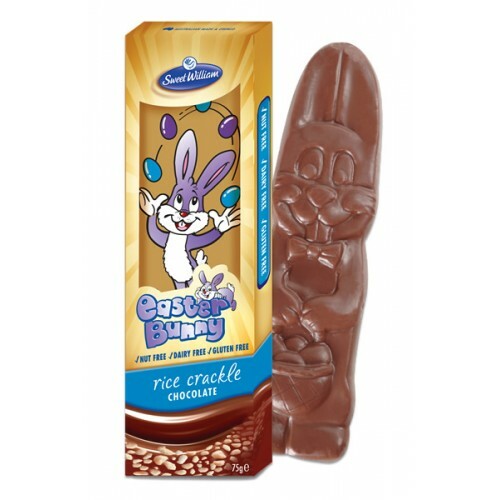 The Choceur Dark Chocolate Easter bunny is a really gorgeous looking addition to any Easter egg haul. 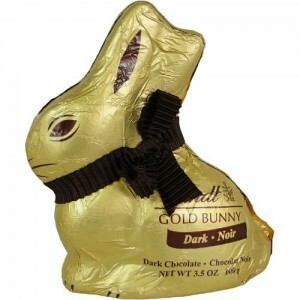 It’s bronze wrapper and sweet little bow tie is also really Eastery. You can find these in Aldi. …. which is really FIVE. The Choices range of Easter eggs come in a pack with a large egg and small foiled chocolate discs. I have only ever spotted the white and dark chocolate. Rumor has it though that there is an orange chocolate and a caramel chocolate. 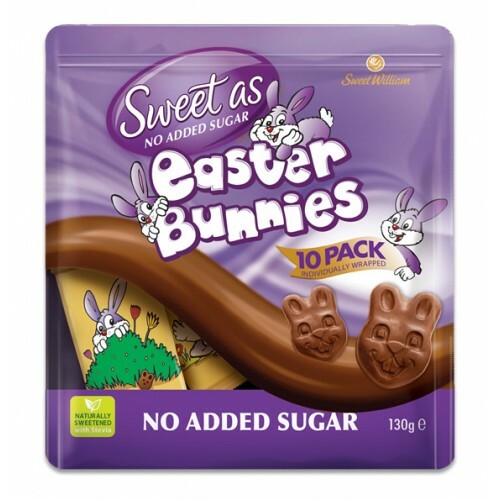 They are dairy free, gluten free, wheat free and actually say on the pack that they are suitable for vegetarians and vegans. You can find the Choices eggs in Aldi. 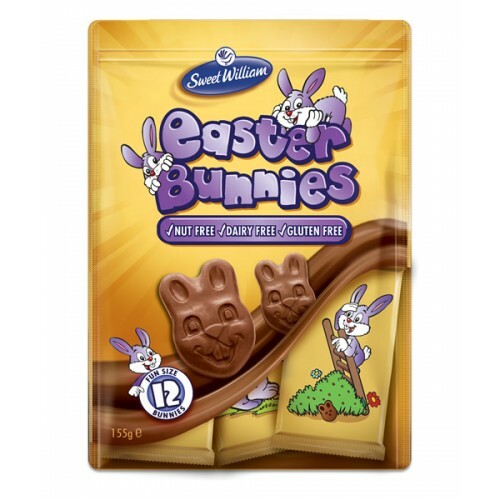 So there you have it, my top 5 picks for Easter. I know sometimes when you are avoiding dairy that it feels like there is no choice but I can tell you that the options are increasing every year. And remember this is just my TOP 5. Ask your health food stores, supermarkets and vegan grocers, like The Cruelty Free Shop and Vegan Perfection what products they have and you will be surprised. Alternatively just contact manufactures directly to find your where your nearest stockist is. 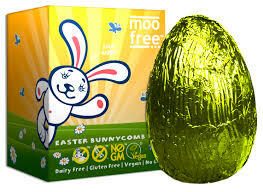 And my NUMBER ONE tip for dairy free Easter Egg shopping is!!!! !>>>> Buy well ahead of time!!! Don’t do what I did last year and leave it till a couple of days before Easter because the shelves start to empty leading up to Easter. So do your shopping weeks before hand.